PHLF turned 50 on September 30, 2014. Intern Lauren Van Zandt, a Public History graduate student at Duquesne University, is sharing the stories of some of PHLF’s “Greatest Saves.” Help us celebrate 50 years of Pittsburgh renewal with a donation to our 50th Anniversary Fund. Click here. I wanted to start this series with Manchester not only because it was one of PHLF’s first projects and greatest saves, but also because it is a neighborhood that is near and dear to my heart. As a recent Pittsburgh resident hailing from Baton Rouge, where most of the buildings were erected after 1950, Pittsburgh’s historic architecture and neighborhoods are endlessly fascinating. I had actually never set foot in Pittsburgh before moving here, and I ended up in Manchester purely by a lucky chance. I was attracted initially by the low cost of housing and proximity to Downtown, but the longer I’ve lived in Manchester the more I’ve come to appreciate the unique beauty of its buildings and the care with which they are maintained. 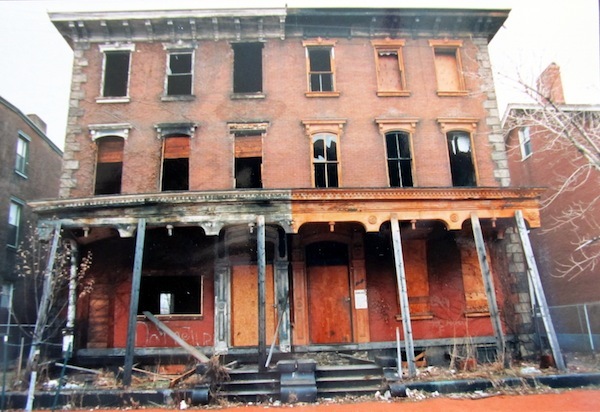 In the mid-1960s PHLF partnered with the Urban Redevelopment Authority and helped establish the Manchester Citizens Corporation with the goal of revitalizing the neighborhood through historic preservation without displacing the people who lived there. 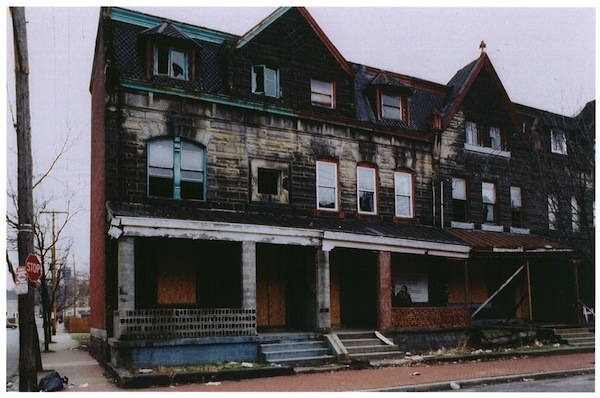 In 1967 PHLF started its first Manchester restoration at 1329 Liverpool Street. 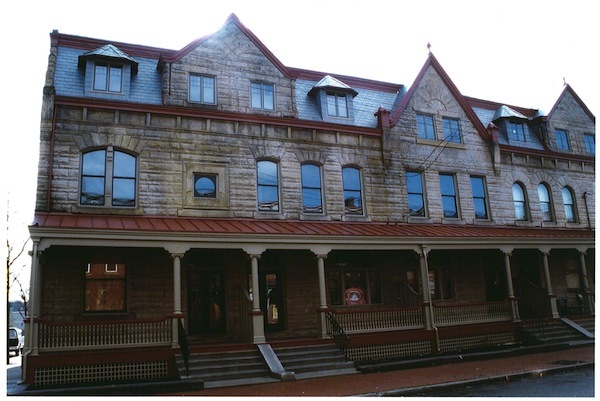 The task of preservation became easier in 1975 as the coalition’s efforts were validated when most of Manchester was added to the National Register of Historic Places. 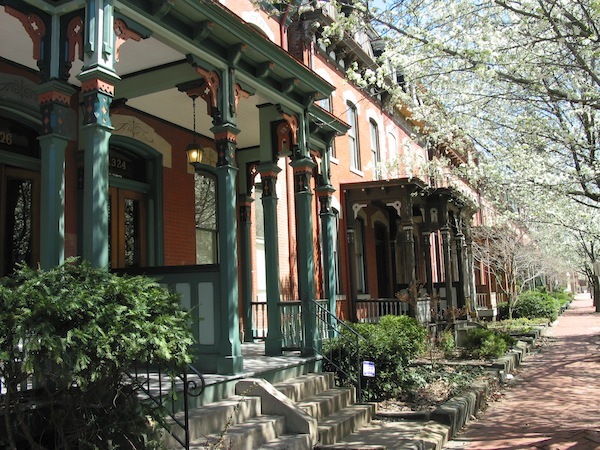 This neighborhood preservation program was the first of its kind in the United States, and set a precedent that PHLF has followed for decades. 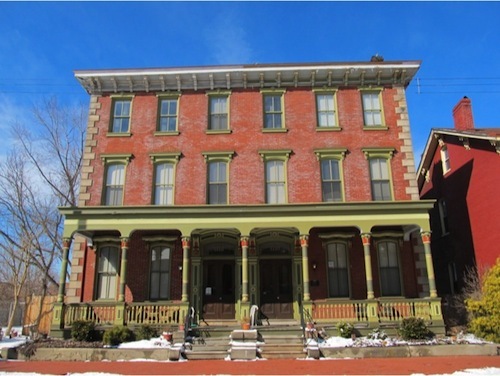 Living in Manchester, I walk down streets lined with beautiful Italianate and Second Empire houses, interact with a diverse group of neighbors, and daydream about buying the last vacant historic house on the block and lovingly restoring its ornate turn-of-the-century woodwork façade. PHLF has restored many of the houses I stroll past on Sheffield and Bidwell Streets and see out my window. Without grants and economic incentives, this building would have remained an abandoned, burned-out hulk and would eventually have collapsed at the hands of Mother Nature or the wrecking ball. Without the measures taken to prevent the displacement of low-income residents, I would not have been able to afford to live in Manchester with a graduate student’s meager means. Luckily, my story is far from unique; individuals and families all over Pittsburgh are living in houses restored or inspired by PHLF’s preservation efforts. As PHLF reaches its 50th year, it is vital to remember the importance of community support in order to ensure another half-century of preservation, renewal, and growth. Please consider making a donation to the 50th Anniversary Fund to build a base for PHLF’s preservation services and educational programs for the next 50 years. 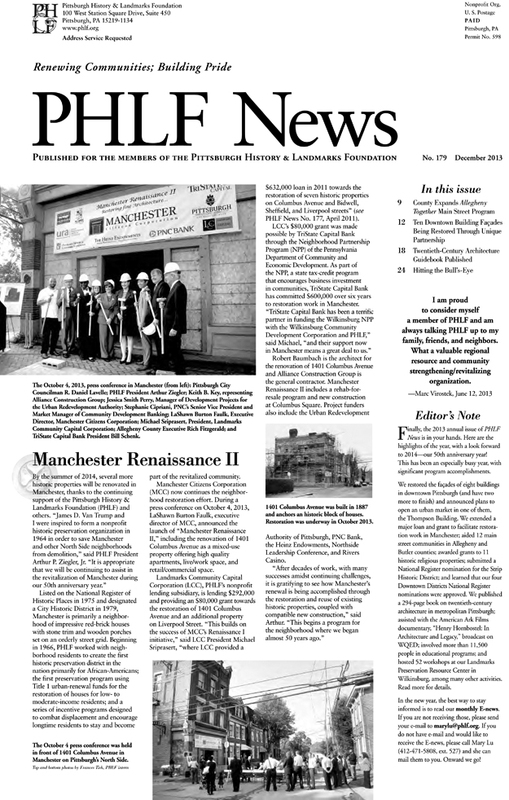 Download and read the lastest PHLF News, No 179, December 2013. Click for complete PDF copy.